This That and the Other Thing: Review: Why Be Catholic? 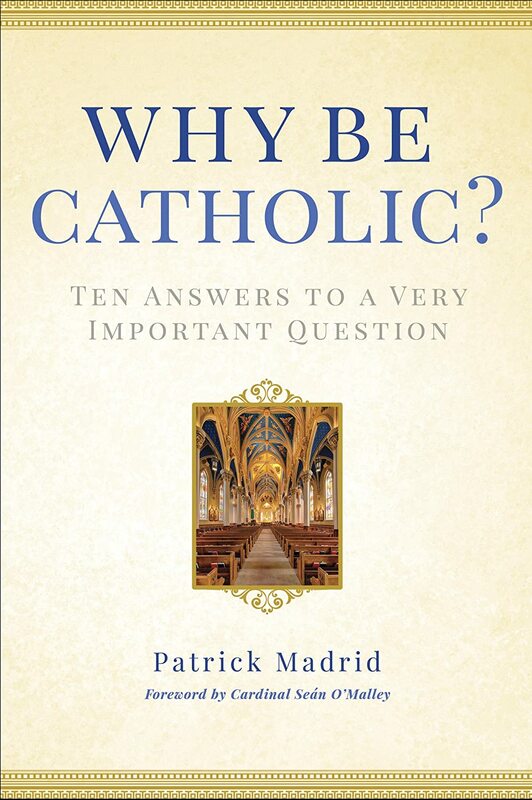 Why be Catholic? The bottom line for Madrid is that the Catholic Church teaches the truth so truth-seekers should be part of the Catholic Church. Madrid relates the tale of his high school girlfriend's father who never missed a chance to tell Madrid what was wrong with Catholic beliefs. Madrid would go home, look up what he was told, and learn that there was a supportable reason the Church taught what it did. An apologist was born. In this book Madrid addresses the sacraments--what they do, why we need them and why God chooses to relate to us in those ways. He talks about Mary and her place in the plan for salvation. The saints and their roles are also addressed. Madrid uses scripture and the writings of the early Church Fathers to explain and defend the teachings of the Catholic Church. Those looking for an intellectual approach to faith will find this a readable convincing text. Those who choose their faith based on emotion will not likely be convinced, though I did like his story about a woman who left the Church based on a priest not being there when she needed him, and how God, with Madrid's help, brought her home. Thanks for this review! I prefer reading the more emotional stories of conversion. The ones that grab my heart. As a convert myself, what first happened was falling in love.